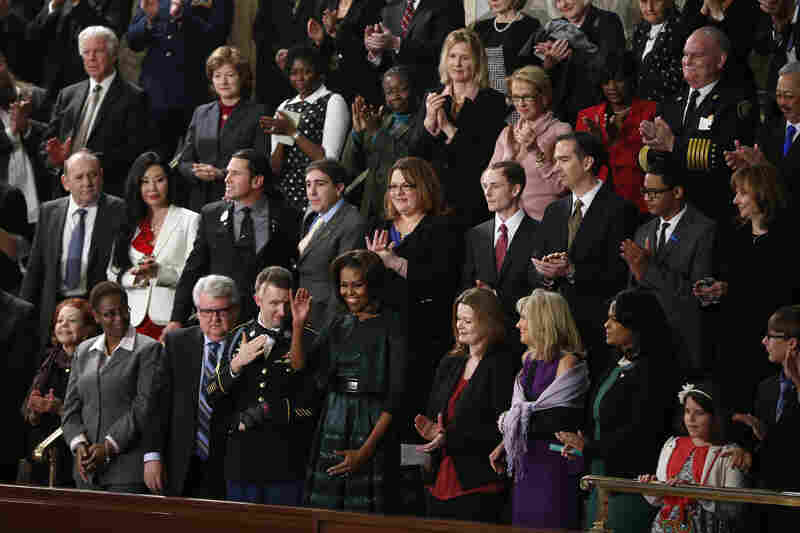 Decrying Washington Stalemate, Obama Calls For 'Year Of Action' : The Two-Way In his State of the Union address, President Obama challenged Congress to overhaul immigration laws and increase the federal minimum wage. 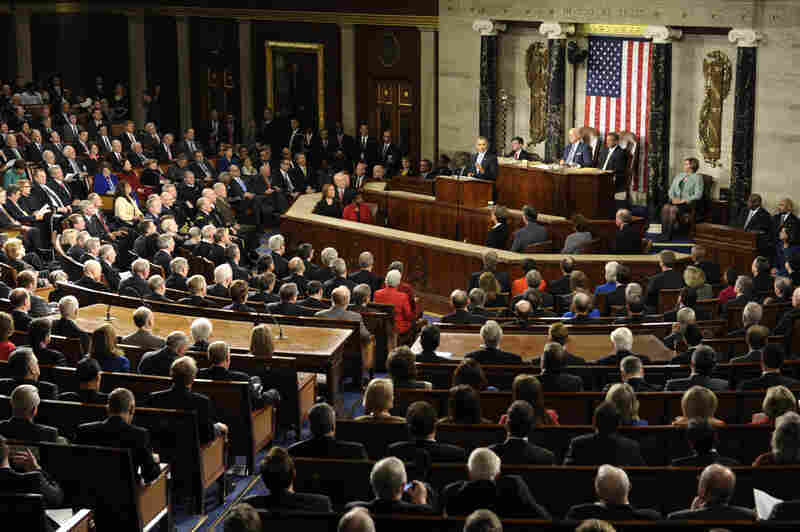 President Obama delivers his State of the Union address to a joint session of Congress on Tuesday. 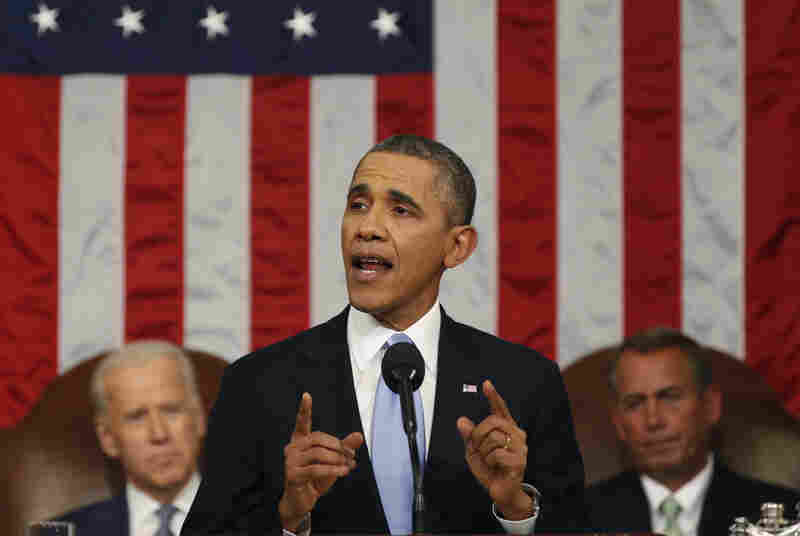 Obama discussed a range of topics including education, income inequality, climate change and immigration reform. 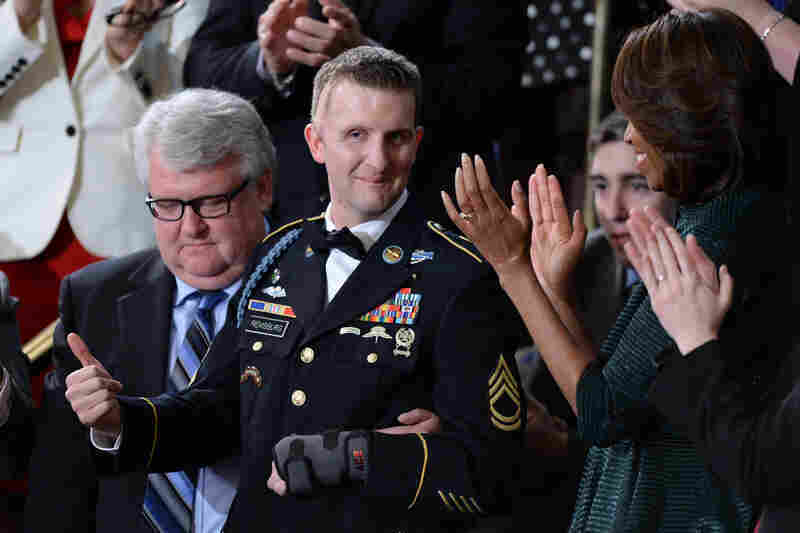 Army Ranger Cory Remsburg, who was wounded in Afghanistan, gives the thumbs up as Obama speaks about him in the final portion of the address. "Together with our allies, we will complete our mission there by the end of this year, and America's longest war will finally be over," Obama said about the war in Afghanistan. 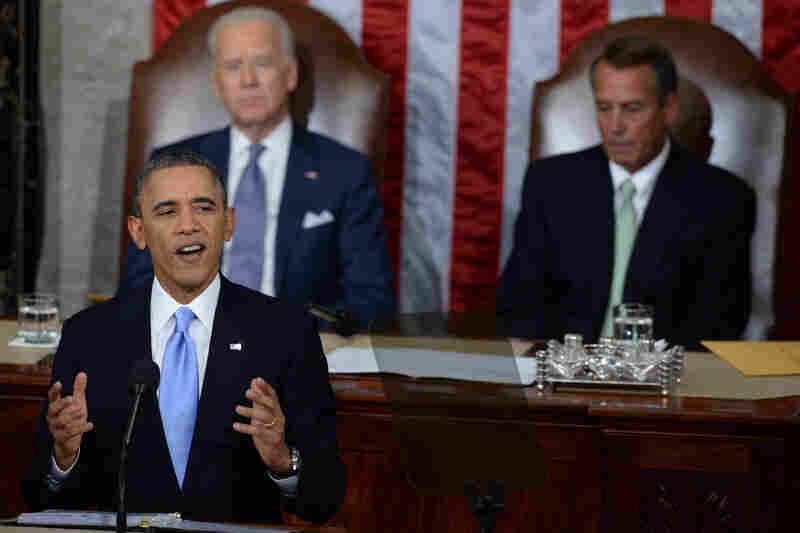 With Vice President Biden and House Speaker John Boehner, R-Ohio, seated behind him, Obama called on Congress to pass immigration reform. 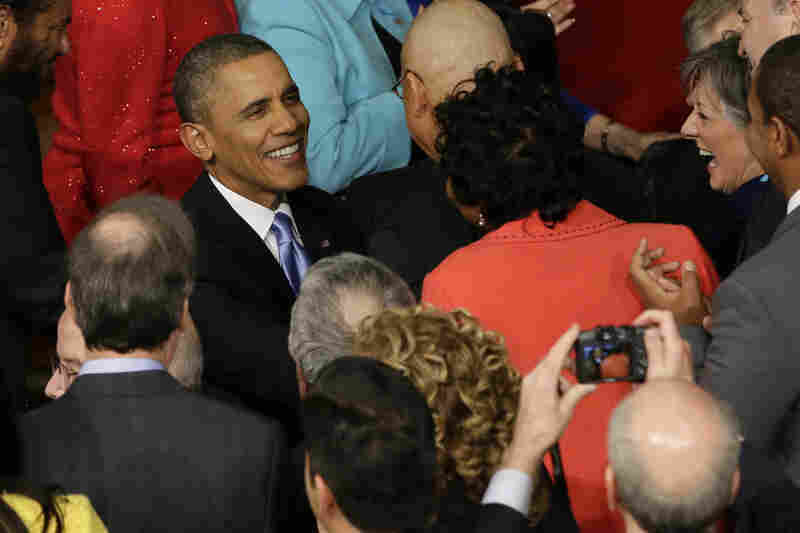 Obama is greeted by lawmakers as he arrives to give his address. 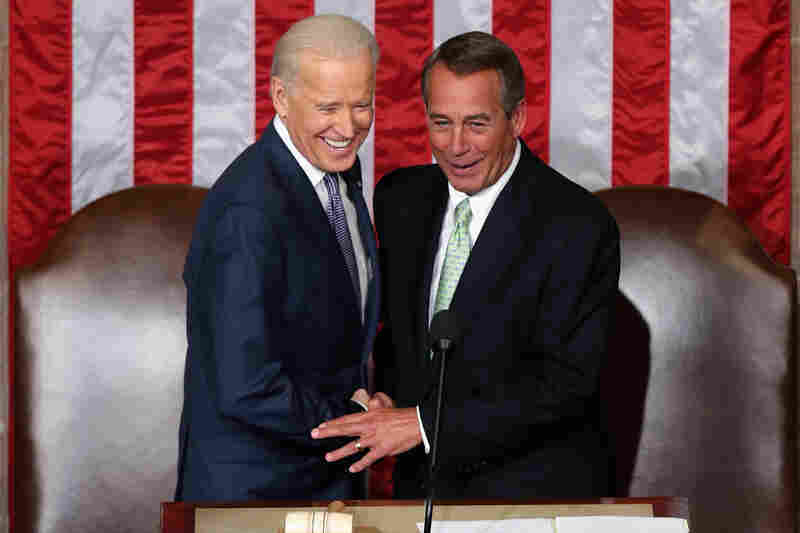 Biden and Boehner shake hands. First lady Michelle Obama waves as she arrives. 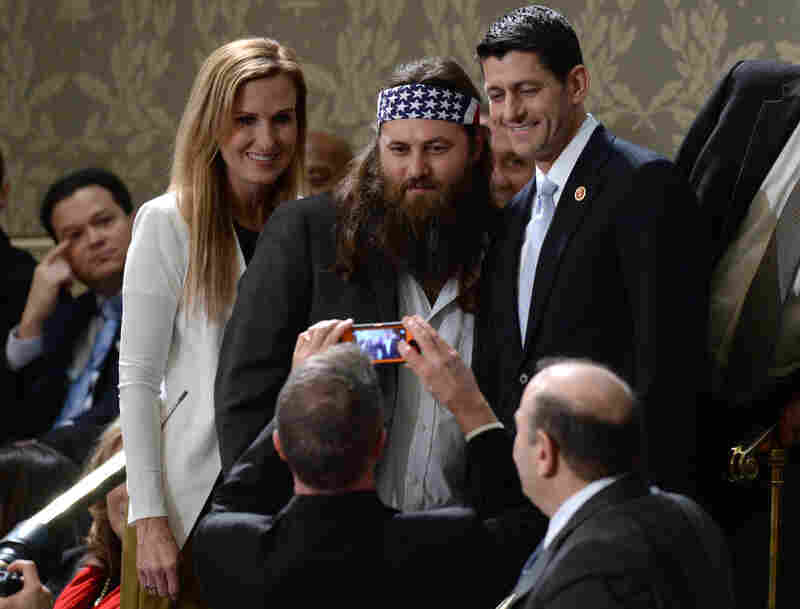 Korie Robertson (left) and Willie Robertson of the television show Duck Dynasty pose for a picture with Rep. Paul Ryan, R-Wis.
Rep. Cathy McMorris Rodgers, R-Wash., sits during a rehearsal of the Republican response to President Obama's State of the Union address at the Capitol. 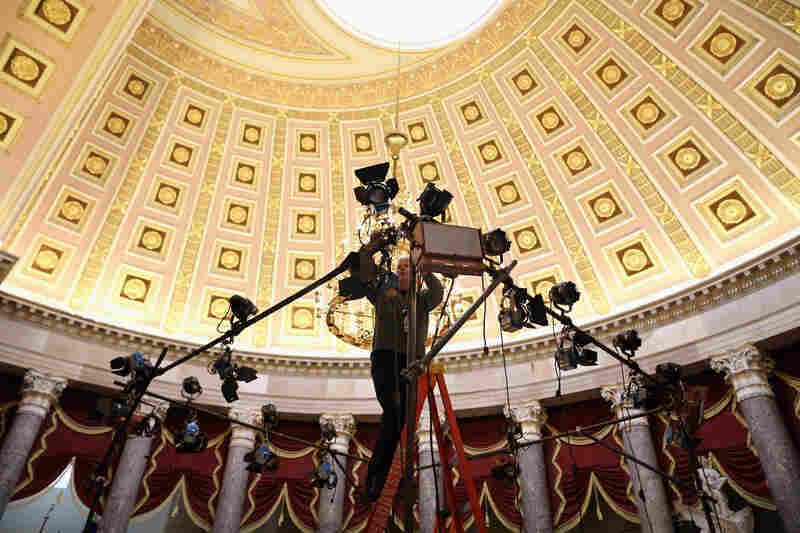 According to excerpts of her speech released by her office, she will emphasize that Republicans advocate for smaller government and an empowered American public. 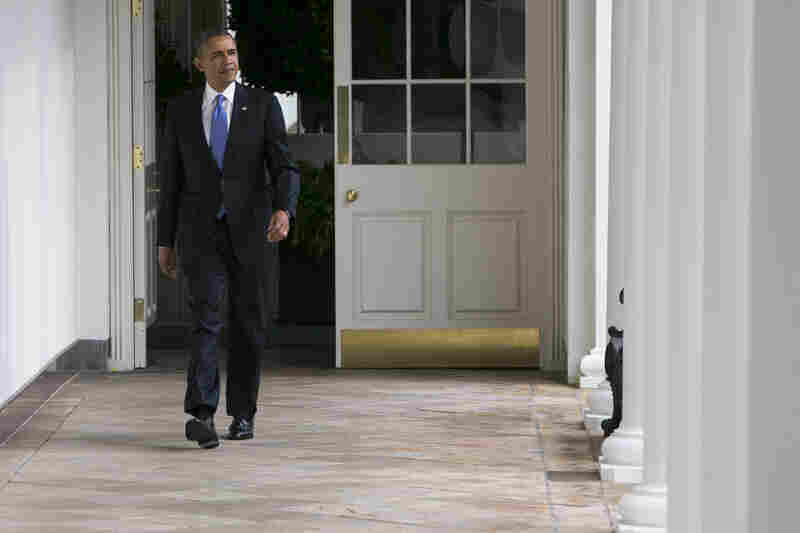 President Obama walks along the colonnade of the White House earlier on Tuesday.